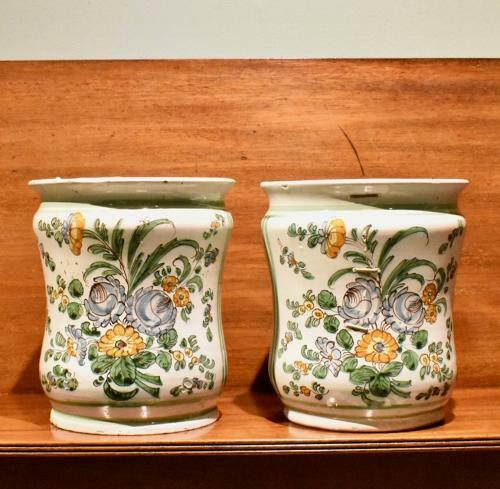 A pair of 18th century dated Italian maiolica albarelli with polychrome floral motifs. Both have extensive but charming old riveted repairs. Dated and initialled to the reverse, DP 1791. Origin: Naples, Italy.